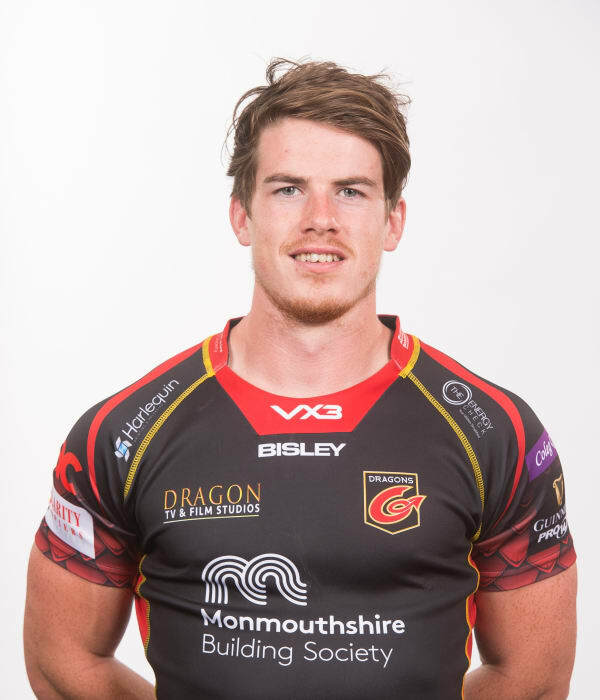 Scrum half Rhodri Davies joined Dragons from Rotherham Titans at the end of the 2017/18 season. Davies had started his career at Scarlets, with a brief spell on loan at Cardiff Blues in 2017. Crymych-born Davies has gained honours at international level, representing Wales Sevens. Davies made his Dragons debut against RCM Timisoara Saracens in 2018 and later scored his first tries for the region with a brace against the same Romanian opponents in January 2019.